If you’re looking to sell your home and start over elsewhere, you likely want that sale to happen as quickly as possible. Find out the true worth of your home, and then lower it 20%. 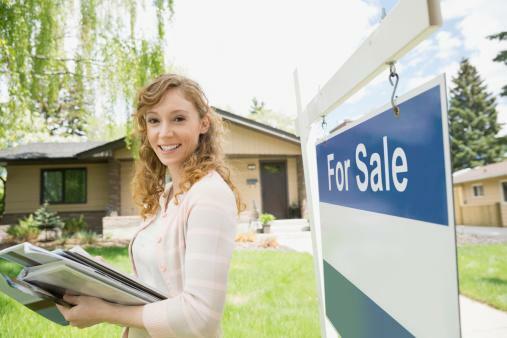 You’ll have buyers rushing – and then bidding up the price to what you really wanted. Do your research before hiring a realtor. Your broker should have an excellent track record that includes recent sales and being updated on market trends. Be sure to ask for references and credentials, too. Change your lampshades and use the maximum possible wattage for every light fixture in your home. You can also scrub your windows, remove the drapes and let the sunshine in. You want your house to be clutter-free and your closets to look as spacious as possible. To do this, you’ll probably need to get rid of half the stuff around your home and in your closets. Consider renting a mini storage unit to store your extra stuff until your house sells. Attract buyers by sprucing up the exterior of your home. Splurge on a striking patio set, trim your shrubs and plant some pretty flowers along your walkway. The kitchen is where it’s at. Depending on the state of your kitchen, you might want to do a quick remodel, including a fresh coat of paint, new cabinets and more. Remember: A buyer can easily shave $10,000 off the asking price by claiming your kitchen is outdated. It’s OK to do some light remodeling throughout your home, but don’t go overboard. A paint job, new light fixtures, door handles and rugs can do the trick. Get rid of your personal items before showing your home. You want visitors to envision their own belongings here – not yours. Be your own best agent. Let everyone and their neighbor know you’re selling your home and be sure to speak in glowing terms about your house to anyone who asks for details. Don’t skimp on this one! Give your entire home a deep cleaning before showing it to buyers. Not everyone is an animal lover. If you’ve got some furry critters at home, hide the evidence! If you’re hosting an open house, send your pets to a friend’s place for the day. Consider hiring professional help for staging and photographing your home.